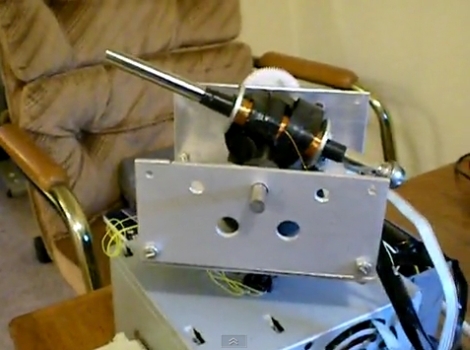 A few years ago when [Dr. West] was wrapping up his collegiate studies, he put together a pretty cool coilgun for his senior project. The gun was built to simulate the Scorched Earth computer game in real life, but due to time constraints he was only able to build one turret instead of two. The turret was constructed using mainly salvaged components, most of which came from old laser printers and desktop computers. The turret sits atop a computer PSU, which also happens to be the source of the coilgun’s charging power. A Rabbit 2000 microcontroller is used to drive the gun, which is something we’re familiar with from [Dr. West’s] past projects. The gun can be aimed manually via the attached keypad, but we prefer the more authentic route, allowing the turret to aim itself after being fed X and Y coordinates. As you can see in the demo video, the coilgun works nicely, allowing [Dr. West] to hit a target from across the room. We love the concept, and think it would be tons of fun to play a real life game of Scorched Earth with a pair of these turrets. If you are interested in making one of your own, you can find the writeup for his final project here in his public Dropbox. Sometimes, changing one little bit of a green hack turns it into a build that wastes as much energy as our gaming rig. [Dr. West]’s automatic window controller is one of these builds. The good news is the window controller can be easily modified to cut energy costs in the fall and spring. [Dr. West] doesn’t have any control over the heat in his apartment and for the entire Canadian winter, his apartment gets really hot. He doesn’t pay for his heat, so he does what any of us would do – crack a window. 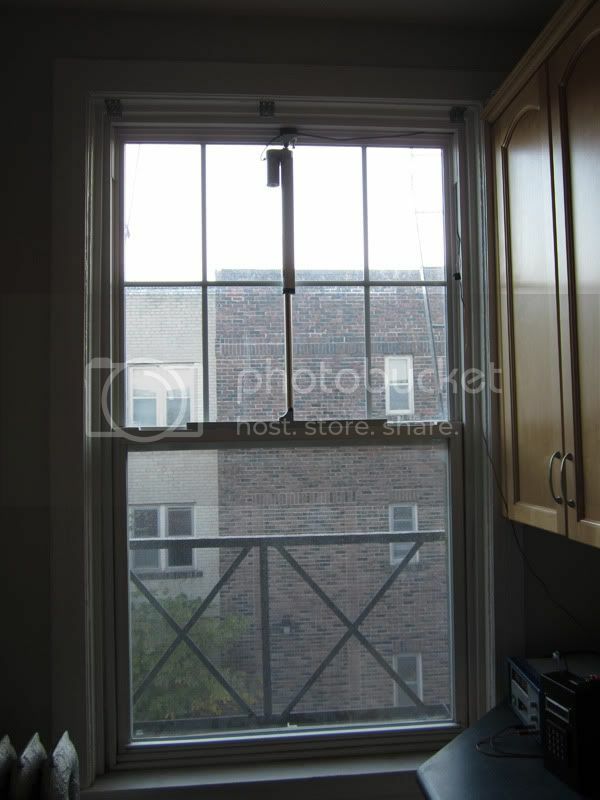 Inspired by this post, he put a linear actuator in the frame of his kitchen window. [Dr. West] didn’t want to damage the window frame, so he attached the actuator to a piece of square aluminum tubing that mounts to the existing screw holes. The electronics, [Dr. West] used a Rabbit 2000 dev board, LCD display and keypad, and built an H-bridge circuit on a bit of breadboard. Because of a port conflict and admitted laziness, an Arduino is used to read the thermistor. The display shows the current and desired temperature, and the Rabbit opens and closes the window accordingly. All the source code is posted in the forum post. While it’s not the most ‘green’ idea to dump heat from a building’s HVAC system out into a frozen tundra, this would be a great build to automatically open and close windows in the more temperate seasons. Open windows during the day, close them at night and you’ll have no more problems coming home to a house that’s either too hot or too cold. 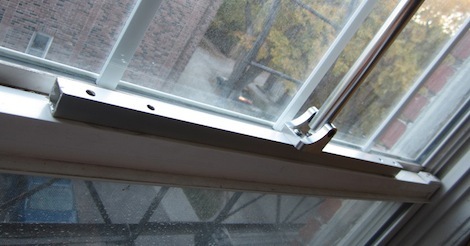 Check out a video of the automatic window after the break.